Update: The giveaway is now closed. The winner of the giveaway is Therese. Thank you all entering! Are you a foodie? Do you enjoy trying seasonal menu items and all that local restaurants have to offer? If you do, then you won’t want to miss OC Tastefest, Orange County’s newest food and wine festival. The inaugural food, wine and entertainment festival will take place on Friday, May 4th and Saturday, May 5th. There are over 25 participating restaurants in the festival including, Cucina Alessa, Port Restaurant & Bar, Marrakesh, Salt Creek Grille, Ten Asian Bistro, Wahoo’s Fish Taco, Slater’s 50/50 and many more. All restaurants will serve three different items that will be priced between $1 and $6 dollars each. There will be a celebrity chef challenge with stars from Food Network’s Private Chefs of Beverly Hills, Bravo’s Top Chef and the Real Housewives of OC making appearances. The two day celebration leads up to the OC Marathon on May 6th. OC Tastefest advance admission is $12 for a one day ticket. General admission at the event will be $20 per day. Each paid general admission ticket includes 10 Tastefest coupons. Tastefest Coupons, each valued at .50¢ are used to purchase food from participating restaurants. Menu items are valued at 2 – 12 taste coupons. A General Admission ticket includes 10 Taste Coupons, and the VIP Ticket includes 30 Taste Coupons. Additional taste coupons can be purchased: 20 taste coupons for $10 or 40 coupons for $20. There will be also be VIP admission tickets available for purchase. These tickets include VIP parking, VIP entrance and access to the VIP Tentfest with complimentary cocktails, wine and VIP seating. To purchase advance tickets and learn more about the event, head here. 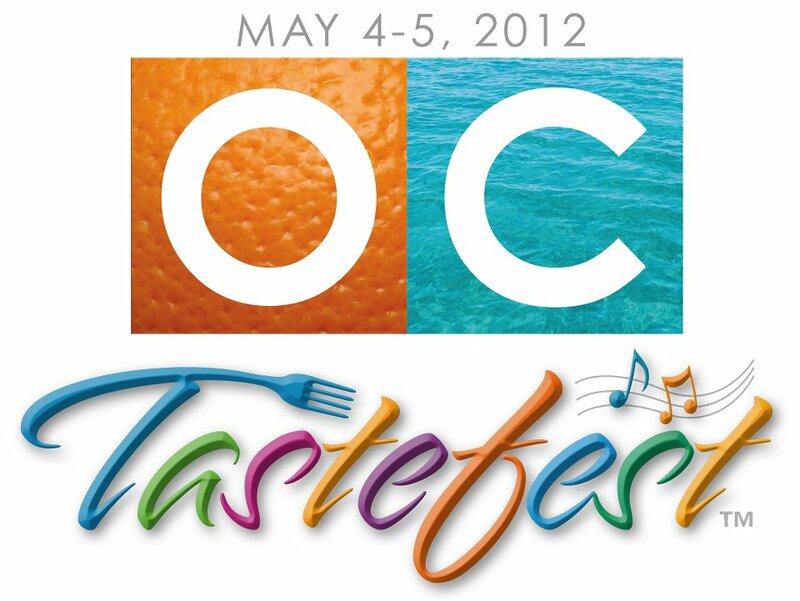 Win a pair of tickets to OC Tastefest. All you have to do is let me know why you need a day out and what restaurant are you most excited to taste from. Giveaway ends on Tuesday, May 1st at 11:59pm. Winner will be chosen at random. Good luck! I love sharing about cultural events in the area and this is one that you will not want to miss. LeaLA, La Ferial del Libro en Espanol de Los Angeles/The Spanish Book Fair of Los Angeles is coming to to the Los Angeles Convention Center, May 11th to May 13th. LeaLA connects the top Spanish authors to their readers and fans.It is a cultural event like no other, featuring all that Spanish literature has to offer. Authors from every genre will be featured, along with storytelling in Spanish from various celebrities. From your favorite cook book author to your child’s favorite author, you are sure to find something for every family member. I can’t wait to take my kiddos this year because I’m trying to introduce them to Spanish literature. I’m also taking my Dad because I think he’s going to love attending some of the sessions and presentations. I’m trying to teach my children Spanish and I can’t think of a better way to do it! The fair is in it’s second year and better than ever! Here are some of the features of this year’s fair. There will also be nightly concerts featuring amazing Spanish language artists, including Gloria Trevi on Friday, May 11th, Los Tigres Del Norte on Saturday May 12th and Calle 13 on Sunday May 13th. Tickets can be purchased via Ticketmaster.com or at the Nokia Live Box Office. Did I also mention that this event is FREE? You can enjoy a fantastic day with your familia learning all about Spanish Literature. I’m planning to heading there with my family and hope I can see you there. To learn more about LeaLA 2012 head here. You can also like them on Facebook or follow them on Twitter. 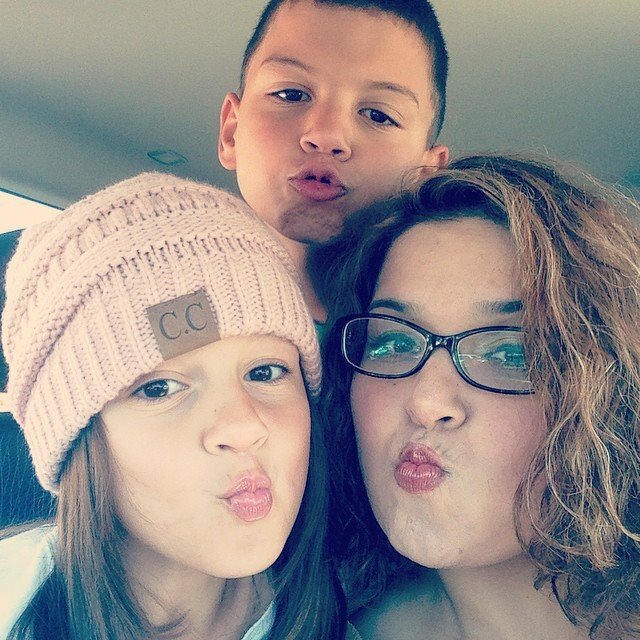 Disclosure: This is a sponsored campaign with Latina Bloggers Connect. However, All opinions are my own. A Party We Won’t Soon Forget! Earlier this year my son celebrated his 5th birthday. I love throwing birthday parties since I have some wonderful memories of my birthday parties growing up. I think the fifth birthday party for any kiddo is a special one and I wanted to make my little boy’s dreams come true. 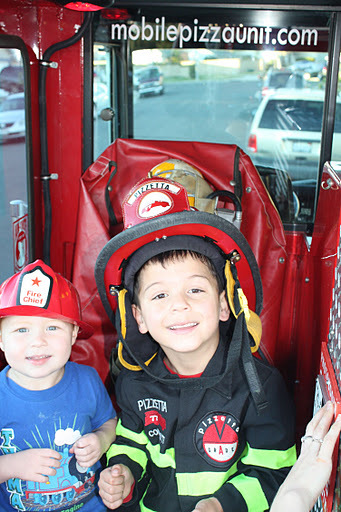 He wanted a fire truck party and he had one that he won’t soon forget with Company 77 Mobile Pizza Unit. The Chef Ready to Whip up some Pizza Pies! 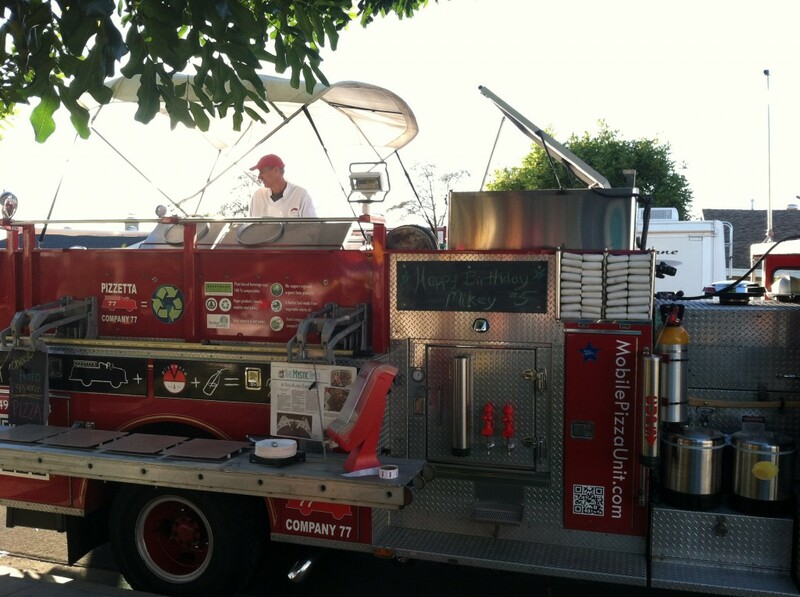 Company 77 Mobile Pizza Unit is like nothing you have ever seen before. 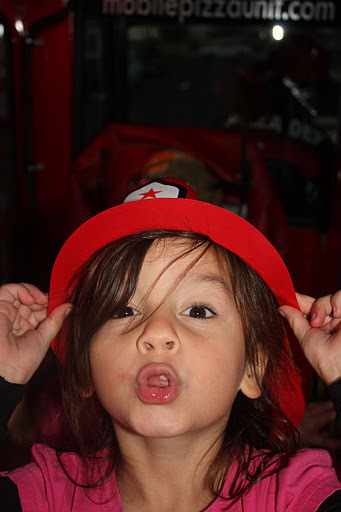 The owners took over a retired fire truck and completely revamped into a super fun party mobile. They created a firetruck like no other! Complete with a complete gourmet kitchen, a sound system like no other, a photo booth and plenty of room to play, a Company 77 Mobile Pizza Unit is the ultimate party machine! We had such an incredible time and the best part was that there was not much I had to do other than set up(I actually had help with that since I rented a bounce house and two tables and chairs for $99 from here) and the rest was taken care of. 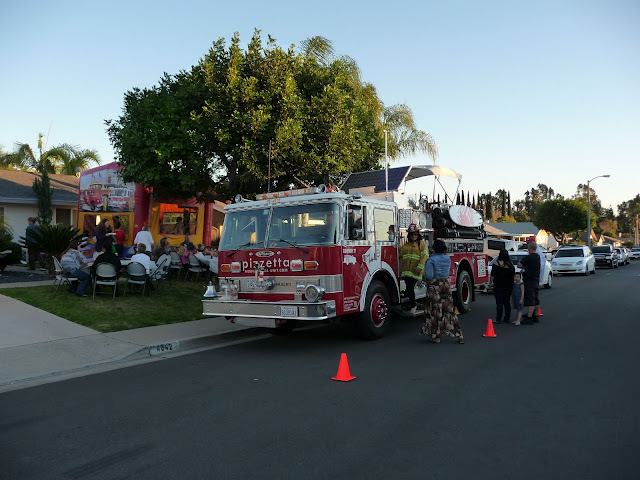 Company 77 provided the delicious food, drinks, utensils, party favors and entertainment. It was a great time! Rooftop Kitchen with working Water Cannon! Now about the food, the artisan pizzas are out of this world. Crusts are naturally leavened using organic stone ground flour, sea salt and filtered water and they offer delicious vegan, gluten-free, and non-dairy options as well. Honestly, the pizzas are some of the best I have ever tasted. Not only will this be a fun party for the kiddos but with delicious food to boot! 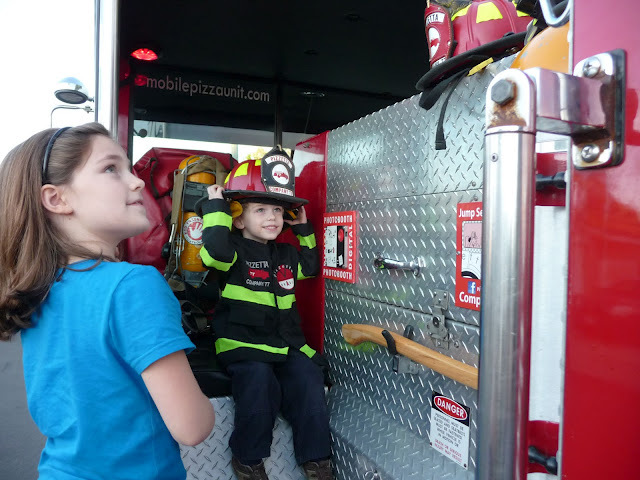 The kiddos loved climbing aboard the Pizza Mobile! WE had a fantastic time and my son still talks about his “best birthday party ever”. Company 77 Mobile Pizza Unit birthday parties start at ) for $495 weekdays/$595 weekends for 25 guests (little guys are free!). Service features artisanal pizzas (cheese, pepperoni and always some chef’s surprises), fire hats and stickers, lemonade and ice water, and recyclable plates, cups and napkins. They also offer gluten/dairy free options by request. One last thing, make sure to tell your neighbors about the party, because nothing is quite as surprising as watching a huge firetruck pull up to your house with their lights on, or better yet, make sure to invite them. 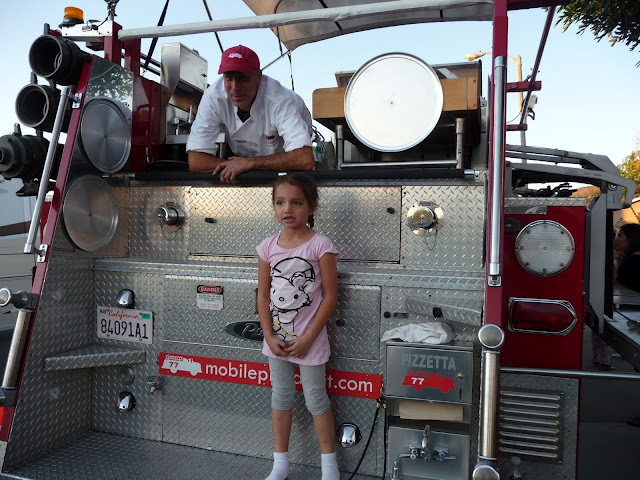 To learn more about Company 77 Pizza Mobile Unit head here. Disclosure: This is not a compensated post. A media discount was provided. This entry was posted in Uncategorized and tagged Company 77 Mobile Pizza Unit, Company 77 Pizza, Firetruck Pizza Party, Mobile Pizza Unit.